What's on at Raindance 2018? Festival season is fast approaching and I don't know about you guys but I can't wait! 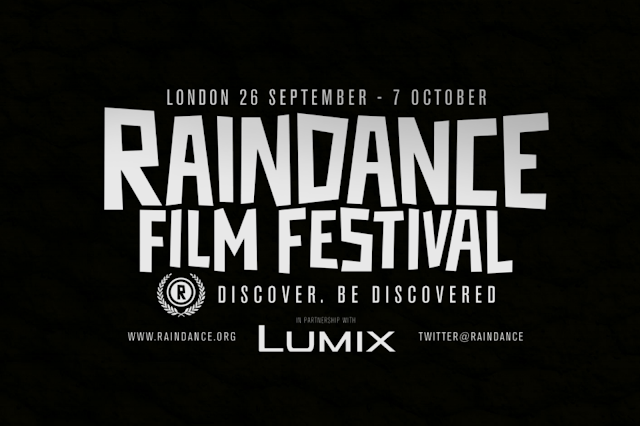 Raindance is easily one of my favourites because it showcases independent cinema from around the world and I'm super excited to be covering it this year as press. Since there are so many incredible films to be showcased, it's going to be a task and a half to narrow it down to what you should go and see so do not worry, I have done that for you and picked some of the films I am most excited about at this year's Raindance. One of the many things I love about this festival is that they have F-Rated movies, meaning it has to fall into one or both categories: female director or female writer. It's great to see a festival acknowledging the divide and encouraging people to see female made cinema. So to kick of the feature film category is one of the F-Rated films, Marialy Rivas' Princesita. It tells the story of a 12 year old girl living with a cult in south Chile, announced as "The Chosen One" who is allowed to experience an education in the outside world, except the chosen one means she is expected to bear "the chosen one", a child by cult member Miguel. Following on from Chile being a guest of honour country at the event, I'm so very excited to see Gonzalo Maza & Sebastian Lelio bring their Oscar winning movie, A Fantastic Woman, to Raindance to speak more in depth about the making of and present a couple of masterclasses, as well as a Q&A. In case you may not have heard of it, it's the story of Marina, a transgender woman who has just lost her boyfriend. It's a beautiful story about grief and the different ways it can be experienced. Documentaries are a pretty huge part of Raindance, also, with lots of different topics being covered across the globe but I often find myself drawn to the whacky stories that come out of the southern states of America. The docs often play like fiction, which I love, because the characters are so much larger than life! Southern Belle is about Taelor, the daughter of a billionaire oil-tycoon whose father died when she was only 15, leading her to a life of reckless choices. The simply named America takes us to Seligman in Arizona, through French director, Claus Drexel. It takes a punt at humanising the very unpopular opinion of Republican politics through speaking with the residents of the 450 person populated village. I Hate New York pretty much defies all of Trump's politics through telling a story of four transgender activists and their struggle to create an identity for themselves, comprised of footage collected over a decade. All of these stories are somewhat a reflection on Donald Trump's America and I love that they've chosen to tackle the issue underneath the radar rather than head on. Perhaps the hardest section to discuss is the feature category because so many incredible movies are going to be showcased but I want to keep it short, despite it being difficult so I'm going to keep it to F-Rated films. A Crimson Star is about Yo who befriends Yayoi when she is hospitalised. The two of them navigate the story with themes of depression and abuse told through the eyes of female friendship. We The Coyotes is about the first 24 hours of a couple who have just moved to LA after only being together for 6 months. It's is the directors', Hanna Ladoul and Marco La Via's feature debut and it looks like one not to be missed. I really love French cinema and so seeing When Margaux Meets Margaux on the programme was brilliant! It's a pretty quirky story about two women who meet at a house party, both named Margaux. Younger Margaux believes this woman is an older version of herself and she can keep her from making the same mistakes. As a bonus I'm mentioning two British films that have sparked my interest, We The Kings and Obey. We The Kings is told through flashbacks of how its lead, Jack, got involved in a life of crime. He has been fostered but is on the run for attempted murder, hiding in the home of a man who is deaf-mute. Obey also plays with themes of crime but in a different way. Its lead, Leon, is conflicted between keeping his head down in hopes of a better future or getting involved with the law and fighting with his friends against the prejudice towards the working class in London. As well as many incredible feature films, Raindance also showcases some brilliant shorts and I have my eye on three! Dear You features This is England's Thomas Turgoose as a man desperate to reacquaint with an old friend navigating the story by writing letters to him, it is 4 minutes long and directed by Damien Reeves. Tom Leatherbarrow's directorial debut After The Sea has also grabbed my attention. Set on a beach, a separated couple meet to discuss the suicide of their best friend and the thing that caught my attention with this is that it's inspired by true events, similar to my last pick Eleftheromania, a 20 minute film by David Antoniuk about a group of prisoners at Auschwitz who must debate in the barrack after being given impossible orders by the Nazis. I hope this can help you guys make your picks for the festival this season! Be sure to follow us on instagram @cinematicfaves & twitter @cinematic_faves to keep up to date with our coverage at Raindance!